Veena Chandra is an internationally renowned sitarist, composer, teacher and choreographer. She is the founder and director of the Dance and Music School of India in Latham, NY (celebrating 27 years) where she teaches Indian classical music. 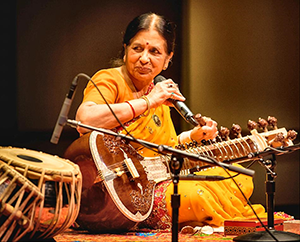 She has been a faculty member at Skidmore College since 1990, teaching sitar in the Music Department. Born in Dehra Doon, Valley of the Himalaya Mountain Range, Veena was inspired to play music by her Father, her first Guru. He loved sitar so much that he named her Veena, after the precursor to the sitar, in hopes that she would learn music. He was 95 years old when he passed away in 2010 and his hopes have validated themselves many times over as evident by the international acclaim & respect given to Veena Chandra. She continued learning sitar with Shri Satish Chandra, a disciple of Ravi Shankar. Being invited by Pt Ravi Shankar to his concerts she was inspired by his music. She earned master’s degrees in music (stood third all over India in MMUS.) and sociology and a bachelor’s degree in teaching. She has been in the international Who’s Who since 1997. Mrs. Chandra has taught at Agra, Dayalbagh universities and colleges in India teaching sitar and sociology. She has been performing and teaching sitar for the last 55 years. She continued her advance training under the late Ustad Vilayat Khan Saheb. Ustad Vilayat Khan Saheb very much enjoyed listening to her Sitar and grew very close to Veena and her son Devesh. She is a recipient of a New York State Folk Art Grant 2003, and Artists Decentralization Grant and several SOS & Meet the Composer grants. Currently she does lecture-demonstrations and performances at numerous performance halls, music festivals, colleges, universities, & schools in the U.S. and India. She has received artist award as a composer through the Albany League of Arts in 2002. She has received several years of Community Arts Grants (2000, 2001, 2008, 2009, 2010, 2011, 2012) through The Arts Center, Troy and NYSCA. She has several CDs to her credit, including two very popular recordings with renowned Pandit Bikram Ghosh on tabla. 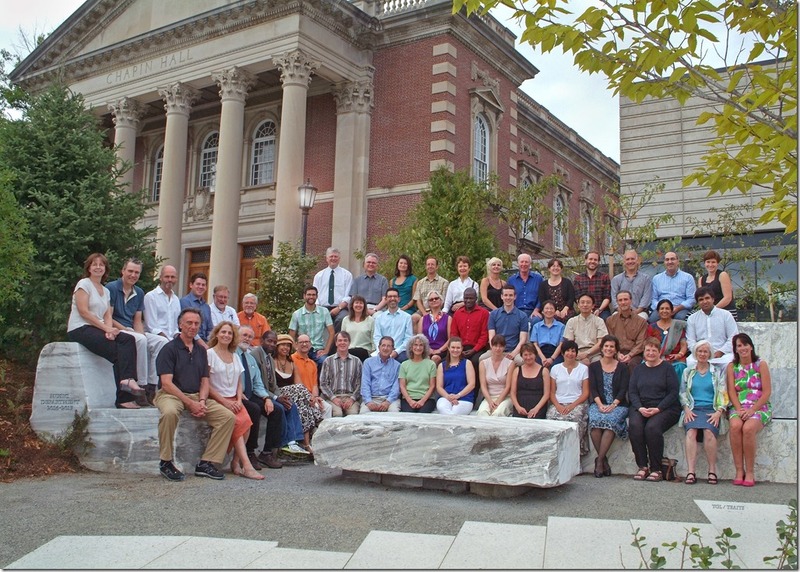 Veena Chandra’s 2009-2010 India tour was in part sponsored by NYSCA and The Arts Center of the Capital Region. Veena Chandra is Artist Associate in Sitar at Williams College.